Many ancient cultures believed that the Earth, heavens, animals and mankind were originally created just as they are now, remaining unchanged until today. Even as many of these notions were slowly eroded by more logical scientific arguments, the belief that the ancient Earth was created at its present size persisted, until it became a major world paradigm even within science. Today students are still taught that the Earth was created over 3.8 billion years ago at its present size, maintaining this same diameter until today, but modern geological evidence seems to demonstrate this concept of a Constant Diameter Earth may be completely wrong. Other thoughts about the Earth have changed dramatically. By the end of the 19th century the most widely held geological model was that the Earth was slowly cooling, thereby causing the Earth to shrink slightly to form mountains as the surface wrinkled. In the early 1900s the continents were still considered to have been firmly fixed in place since the beginning of the Earth. In 1912 the German meteorologist Alfred Wegener proposed the radical idea that the continents had once been joined in one gigantic land mass and then drifted apart to finally end up in their present positions. In 1915 he presented this evidence in the first edition of his book, The Origin of Continents and Oceans (Die Entstehung der Kontinente und Ozeane). Most scientists of the day disagreed and it was dismissed as ‘an absurd daydream’. Other people noted that Francis Bacon, Snider-Pellegrini, Frank Taylor, Howard Baker and Roberto Mantovani had also noted that coastlines fitted together. This coastal fit was one of the strongest lines of evidence for Continental Drift, but Wegner also matched fossils and geology across widely separated continents as further evidence. By the 1930s most scientific opinion was firmly against Continent Drift although there were still some notable individual supporters. The South African geologist, Alexander du Toit published some of the best arguments in support of it in his 1937 book Our Wandering Continents. The British geologist Arthur Holmes also championed the theory of Continental Drift while it was still unpopular and his book Principles of Physical Geology ended with a complete chapter on Continental Drift. One major supporter of Continental Drift at this time was the Australian geologist S. Warren Carey who organized a number of international conferences on Continental Drift and taught the subject in his classes. In 1956, while reconstructing the continents on a large 76 cm diameter globe, he noted that the fits were not perfect on an Earth of the present diameter, but if a smaller diameter Earth was used then the fit was perfect. He considered this for two years and then finally publicly announced in 1958 that he believed Continental Drift had been caused by the Earth expanding in size. But for most people accepting the Earth had expanded was difficult to believe. Carey ‘discovered’ the concept of expansion completely independently of any previous thoughts on the subject but his further research showed that a number of people had published similar proposals in the past. In 1933, one explanation for continental drift had been proposed by Ott Christoph Hilgenberg in his book, Von wachsenden Erdball, which roughly translates as ‘The Expanding Earth’. He observed that all the continents could be reconstructed on a smaller diameter Earth and suggested that the Earth had expanded in size to split the continental shell into the various continents of today, until they eventually reached their present positions. Also the Russian engineer Jean Yarkovsky and the Italian geologist Roberto Mantovani both independently suggested the concept towards the beginning of the 1900s. Nearly half a century before them in 1859 Alfred Drayson and William Thorp presented a lecture about Earth expansion to geologists at the Yorkshire Geological Society in the UK. But all these ideas were mostly ignored and soon forgotten since virtually everyone believed the continents were firmly fixed throughout geological time. During the mid-1950s the ocean floor began to be studied with echo sounding equipment and this eventually resulted in the first map of the ocean floor being published in 1959 by the American geologists Bruce Heezen, Marie Tharp and Maurice Ewing. The map was a revelation because it showed details that had never been seen before (one of these original maps of the ocean floor is available on Google Earth as shown below). Papers have appeared in some of the most respected scientific journals. Hugh Owen’s article, The Earth is expanding and we don’t know why, is a particularly well-known article that was published in New Scientist. The final few sentences note that, “the acceptance of continental displacement as real initiated a revolution in Earth sciences. The evidence for Earth expansion suggests that the revolution is far from over”. This is the mystery that has continued to intrigue many scientists around the world. Giancarlo Scalera noted that the number of published science papers about the Expanding Earth theory has continued to increase steadily in the last century until there were 240 papers published between 1990 to 2000. In the 21st century the debate has continued. The Australian geologist James Maxlow published his book Terra Non Firma Earth and also presented various talks. Neal Adams reconstructions are very popular on YouTube and for some people this remains their only exposure to the theory. The Expanding Earth is widely discussed on the Internet but many of these misrepresent the theory. A peculiar editing war about the Expanding Earth has been festering on Wikipedia that illustrates why this occurs. In 2001 a colloquium meeting was held in Germany in honour of Ott Christoph Hilgenberg, one of the early pioneers of Earth Expansion. Eventually, so many papers were received for the colloquium that a book containing these was published in 2003, Why expanding Earth? In 2009 Jeff Ogrisseg wrote a three page article about the Expanding Earth for the Japan Times. My book Dinosaurs and the Expanding Earth has also become increasingly popular during this time. Science papers continue to be written by scientists like James Maxlow, Giancarlo Scalera, Stefan Cwojdzinski, Dennis McCarthy and many others discussing the concept. Today the debate continues with new books, science papers and conferences exploring the evidence and implications of Earth Expansion. Scientific conferences discussing observations relevant to the expanding earth theory have continued being held. Often these discuss the new observations from various branches of science relevant to the new concept. In September 2011 a week long conference was held at the International School of Geophysics in Erice to discuss the latest research. 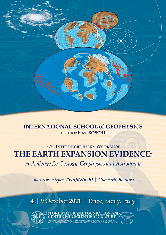 This cross-discipline conference allowed a range of scientists, engineers and many others to present papers centred on the Expanding Earth theory and these have been further developed and explored in the post conference book The Earth Expansion Evidence. 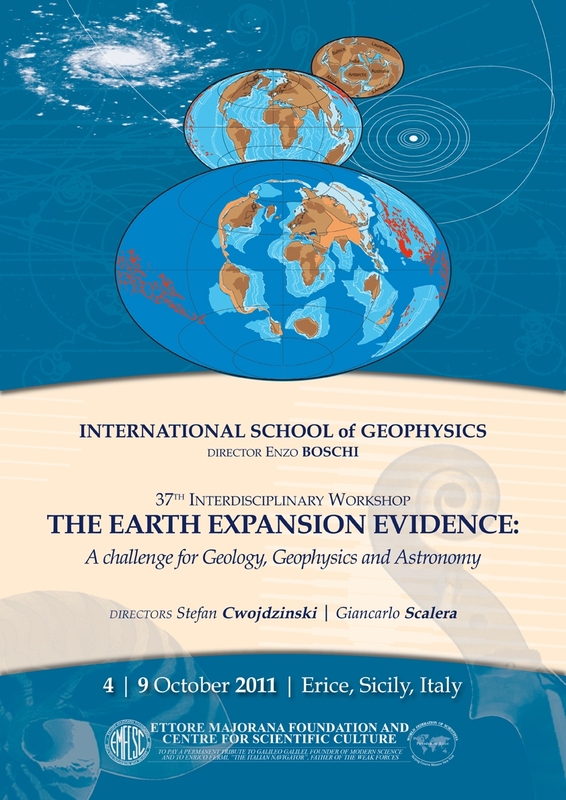 [10,11] In August 2012, further papers about the Expanding Earth theory were also presented at an International Geological Congress held in Brisbane. The Expanding Earth theory remains a sound idea in the new millennium. This fascinating debate about the Earth expansion continues today, resulting in the continuing publication of new science papers and books, as a review of 2016 and 2017 confirms. One of the most notable features was a mid-ocean ridge that ran all around the Earth. The explanation of the map caused intense arguments between Heezen and Ewing. In the late 1950s, Heezen described how he believed the supercontinent of Africa and South America was broken up by the mid-Atlantic rift valley as new lava filled the gap in the ocean floor. At the centre of ocean floor the mid-Atlantic ridge was still forming today as lava welled up from the depths. But Ewing believed just as firmly that the continents had remained fixed in position and never drifted apart. Heezen noted that since the mid-ocean ridges covered the whole Earth, like the seams of a baseball, the new material welling up at all the ocean ridges meant the Earth must be expanding. But most scientists couldn’t believe the Earth had expanded - surely there must be another solution. In 1962 Harry Hess proposed an alternative solution that fitted with the Constant Diameter Earth theory. The new ocean floor could spread out to form the central ridge but then as it reached the continents it would sink down under the continents and then be consumed deep within the mantle, only to be recycled millions of years later as new ocean floor. It formed a giant Convection Cell constantly recycling material to maintain a Constant Diameter Earth. This was in keeping with traditional Earth concepts and is the theory generally accepted and widely taught today. Continental Drift was re-christened as Plate Tectonics and finally became an established scientific theory 50 years after Wegener first proposed Continental Drift.